Posted on 15, January 2016 by EuropaWire PR Editors | This entry was posted in Electronics & Machinery, Food & Beverage, Netherlands, Technology and tagged flight catering services company, Gordon Wiffen, Kevin Burrows, LED lighting, LSG Sky Chefs, Royal Philips, Tony Wright. Bookmark the permalink. 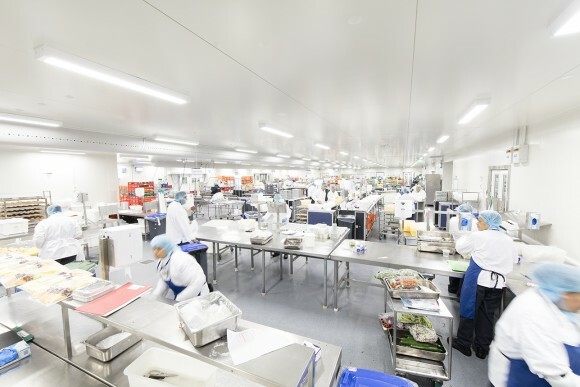 Amsterdam, The Netherlands, 15-Jan-2016 — /EuropaWire/ — Flight catering services company, LSG Sky Chefs, is reaping the benefits of food, workplace safety, productivity and energy efficiency by switching to LED lighting provided by Royal Philips, the global leader in lighting.